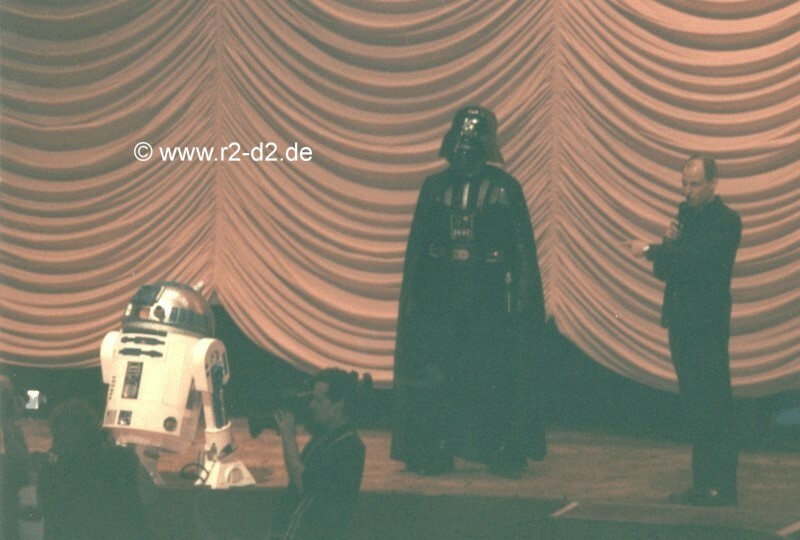 Some months later some German Star-Wars-costume-builders and me were invited by the Deutsche Welle TV to Berlin to take part in a show for the Berlin film festival. But the best was yet to come. 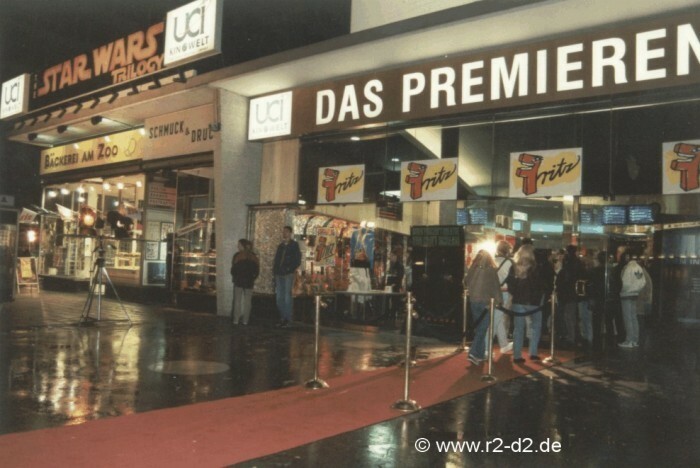 Somehow our name must have stuck in Berlin TV circles, because two weeks before the Special Edition of StarWars-A New Hope was supposed to open in Germany, I received a call from 20th Century Fox Germany, asking wether I would like to take part in the German premiere of the Special Edition with my R2. Of course I would! We arrived early in Berlin on the premiere day to have ample time for assembly and preparations, and to give an interview for a radio station. 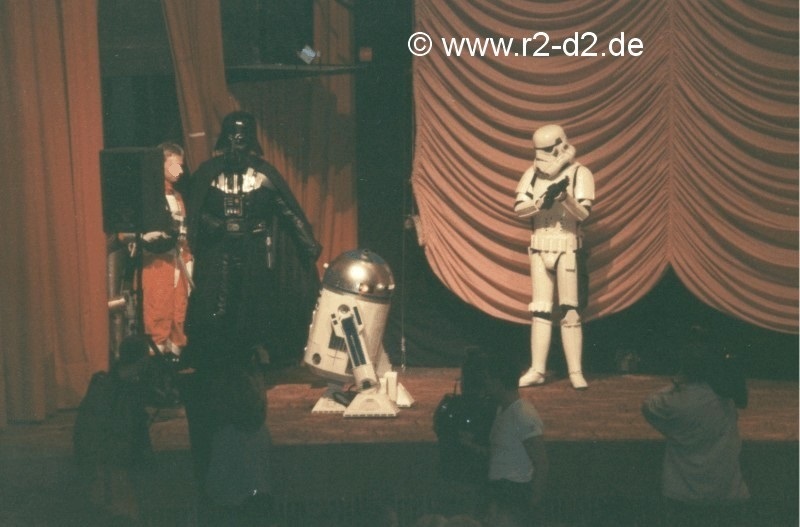 We had to testdrive R2-D2 on stage before the show to see if he would be able to tackle the very thick carpet on the premiere theatre´s stage. During these tests the projector operator did some screentests of the Special Edition reels, and of all the scenes he used the new Jabba-sequence! We were probably the first fans in Germany to see these scenes on the big screen! While we were assembling R2 and putting some of my friends into their costumes, we had to give TV interviews all the time. 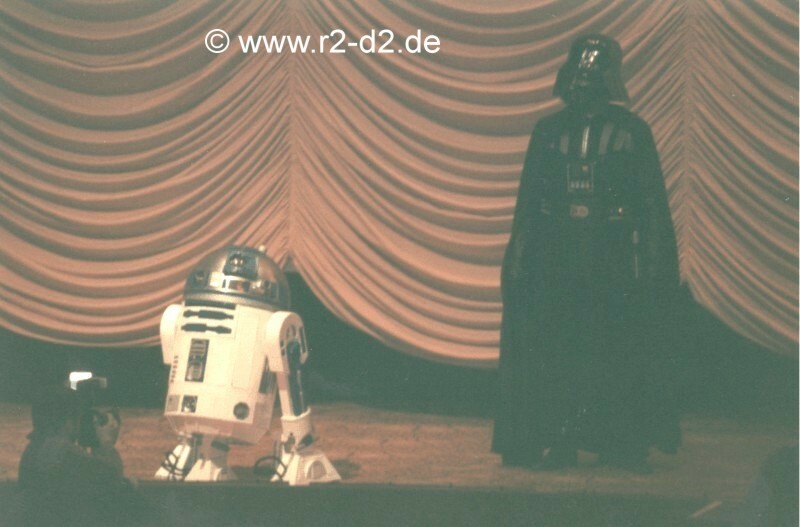 And I was quite a bit nervous, wether R2 would perform flawlessly during this crucial show. A droid breakdown during the premiere wouldn´t be good for my reputation!